So do you ever find yourself baking late at night, and then wondering what to do about that still-warm sheet of cookies/pan of brownies/tin of pie? It’s ill-advised to cover hot or warm baked goods using traditional wrappings (plastic, tin foil, etc.). Steam and/or condensation will form – even if there’s just a bit of warmth emanating – and this will result in soggy cookies/brownies/pie. Sad face. 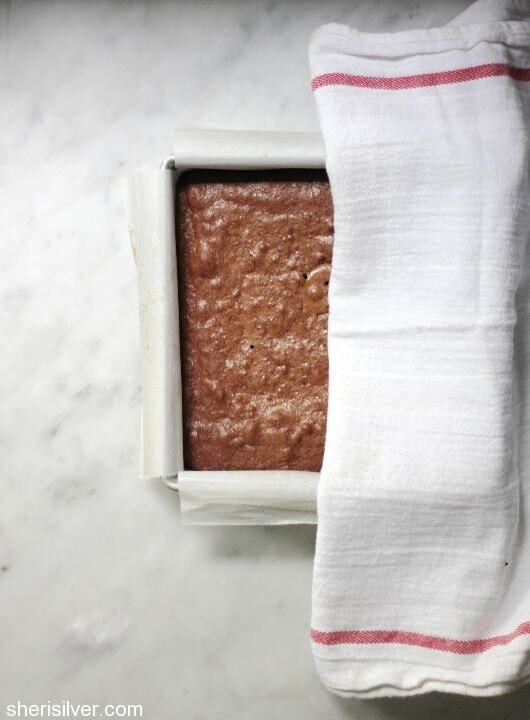 What you CAN do is use a clean dish towel – simply drape it over your pan or sheet. 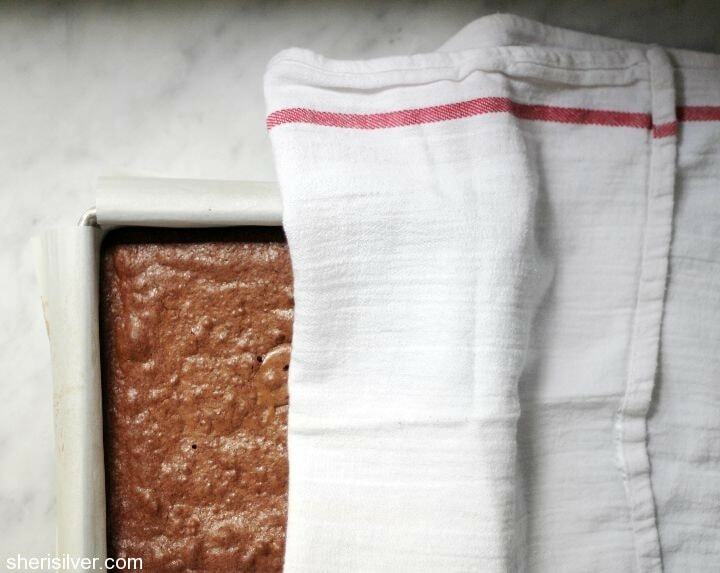 Your baked goods will stay fresh overnight, and no worries about steam forming. This tip is so second-nature to me that it’s taken me till now to realize that some of you may not know it (#oops). My Grandma Fay taught me this one (like she taught me pretty much everything I know about baking), and it works perfectly (click here and here for two more uses for kitchen towels)! Oh – and look for those brownies later this week – it’s the last popsicle of the season (welp) and it’s a good one! Did you know that I have Pinterest boards with all of my “favor-ettes” and kitchen tips? Check ’em! So I always thought one removes baking from the pan and covers it with a towel. Is this also an acceptable overnight option? I did it with banana bread. I might put the bread back in the pan now. Thank you so much! I literally have the exact same towels draped over my freshly baked rolls that are for Easter dinner tomorrow. I kept going back and forth wondering if I should leave them that way or cover them with something else. And then I found your article. Thank you! Thank you for posting this tip! I just baked a batch late at night and was struggling with staying awake…I decided to Google and there your tip was! Thank you!! Yes very helpful for this guy at 1:44 AM hoping to surprise my wife and daughter tomorrow morning. Just exactly what I wanted to know. Thanks! Glad.to know I’ve been doing something right and it’s perfectly sanitary and safe to let baked goods cool under the clean dishrag over night! Much appreciation for post. Will that work for kiffles baked at night? Okay – first I had to look up what a kiffle was! 🙂 I would imagine it would be fine. Baked goods can keep for a day, right? Would you let me know if you try it? Also just what I was looking for! Seems like your article has been really helpful for a lot of us! Thank you! I’m going to try this with my mason jar of warm coconut syrup. Don’t want bugs to get in while it cools, but don’t want condensation in the jar either. Brilliant!! I’m exhausted and covered my bread with tin foil then second guessed myself and here was just the answer I needed!! Oh yay! I love things that are simple yet make such a difference; thanks for writing! Thanks for this tip! It’s past midnight and my pumpkin bread just came out of the oven. It says to cook for an hour! Now I can throw a towel over it and go to bed! Thank you!! Same right now!!! Yay for sleep. I am cracking up, because I like all the others here was in the exact same situation. It’s late, banana bread muffins for school, foil was getting a little steamy, second guessing what in the world to do…and yep here’s the exact answer. Go. To. Bed. With towel over. You someone should be getting paid for this seemingly simple technique. Thhhhank you for even thinking to share it. I will let ypu know of this worked. Thank you for posting it. I put towels over my two banana breads and a towel over my peanut butter swirl bars. I was in a baking mood. Thank you so much for this tip, stumbled upon it via Google. I have a newborn son and was doing some late night baking for his name ceremony. So relieved to be able to go to bed! I’m so glad! 🙂 This tip has SAVED me countless times too. Enjoy your holiday!